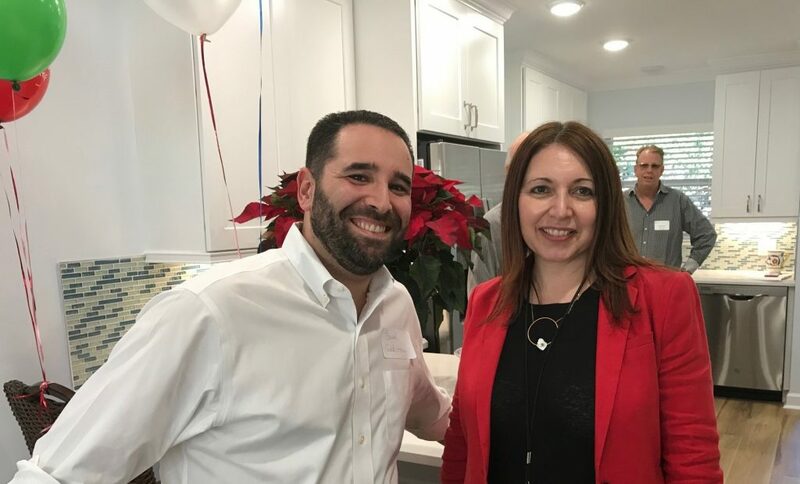 Brad Goldstein, our Director of Client Services, tours a new designer-inspired villa, with Gayle Nadler, John Knox Village Life Plan Sales Consultant, during the JKV Holiday Open House last week. We took time out last week to visit John Knox Village (JKV), a Life Plan Community located to our south in Pompano Beach, Florida. As many of you may know, JKV is situated on 70 acres between Ft Lauderdale and Boca Raton, and celebrated its 50th anniversary last year. Mari has been visiting clients who reside in the community since the early 1990s (can you believe it? ), so we took advantage of John Knox Village’s Holiday Open House invitation last week to pay a visit and see what’s new on the JKV campus. Brad and Mari had an opportunity to tour the newly renovated designer-inspired apartments and villa homes (they’re beautiful!) and learn more about JKV amenities and the full slate of resident activities. Since JKV is a life care community, residents can access several levels of healthcare depending on their needs for as long as they live in the community. Our clients often choose to live in JKV and many of the other wonderful communities throughout South Florida. Some – like John Knox Village – offer a continuum of care options. Others are organized differently. But the point is, when clients are looking at new communities, they frequently ask our help in finding the “best fit” that offers the lifestyle, amenities and price point they seek. That’s why we were eager to reacquaint ourselves with JKV and learn more about what the community offers to residents. Thank you, John Knox Village, for the invitation! It’s all part of how we partner with other professionals to provide clients with the high-touch, high-trust service and guidance they seek. ← Just Passed The CFP® Certification Examination? Congratulations!